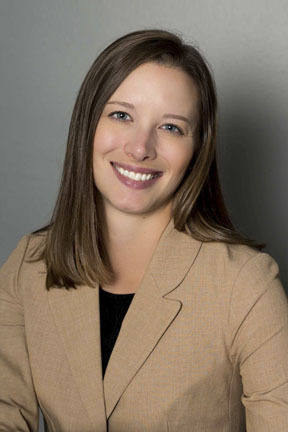 Christiana McCormick is an associate attorney with the law firm of Michow, Cox & McAskin, LLP. She joined the Firm in September 2016. Ms. McCormick assists with the Firm’s legal representation of its municipal clients. Her practice of local government law includes drafting and reviewing contracts, drafting resolutions and ordinances, and producing legal memoranda on topics such as open records, open meetings, and the Colorado Governmental Immunity Act (“CGIA”). Prior to joining Michow, Cox & McAskin, LLP, Ms. McCormick’s post-graduate experience included one year as the judicial law clerk to the Honorable Norma A. Sierra in Boulder District Court and one year as a Legal Fellow at the Denver City Attorney’s Office (“DCAO”). As a Legal Fellow in DCAO’s Civil Claims Litigation Section, Ms. McCormick researched legal issues, particularly those involving claims of constitutional violations brought against Denver under 42 U.S.C. § 1983 and claims arising under the CGIA. She drafted motions to dismiss, motions for summary judgment, and briefs for cases in state and federal court. She provided legal opinions to attorneys and various City departments and assisted attorneys in preparing for trial and making settlement decisions. It was also the responsibility of the Legal Fellows in the Litigation Section to respond to subpoenas duces tecum and defend motions to quash at Denver County Court hearings. During law school, Ms. McCormick completed internships for two federal agencies—the U.S. Department of Health & Human Services, Office of the General Counsel, and the U.S. Department of Education, Office for Civil Rights—participated in the University of Colorado Law School’s Family Law Clinic as a student attorney, and was a member of the Colorado Natural Resources, Energy & Environmental Law Review. Before attending law school, Ms. McCormick was a teacher of English as a second language at Aims Community College in Greeley, Colorado, where she taught English and academic skills to students from 12 different countries with varying English proficiency levels.